The beginning of the Lunar New Year was Monday, so Happy Chinese New Year! 新年快樂! The great thing about Chinese New Year is of course the New Year's Eve feast. I love the fact that each dish has a double meaning meant to bring luck or fortune in the new year. Tangerines are a must around the beginning of the new year because in Chinese the word for tangerine is a homophone for "luck": same sound, different spelling. Apparently it's even better if the tangerines still have their leaves as that adds the benefit of longevity as well. I personally associate tangerines with Chinese New Year because when I see that the tangerines on the trees in my backyard are ripe and ready to eat, I know that CNY is right around the corner. 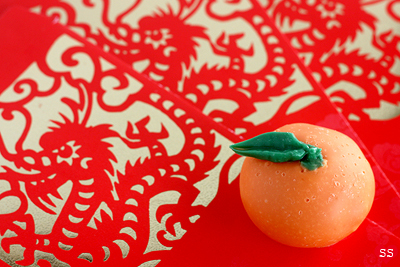 This year, I thought that it would be fun to make a tangerine based dessert for CNY. The fact that tangerines are usually served whole didn't give me much flexibility, but I realized that this was the perfect time to work on my DforD Resolution #4. 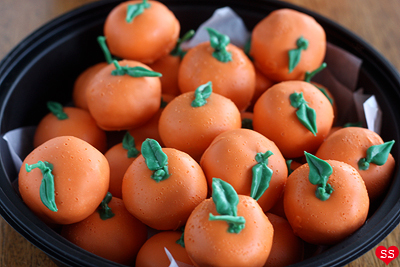 I used the zest and juice of my backyard tangerines to flavor a cake and some frosting and turned them into tangerine cake balls (cake pops without sticks), with leaves and all. A lucky dessert to start off the new lunar year! Crumble the cooled cake into the frosting and mix. 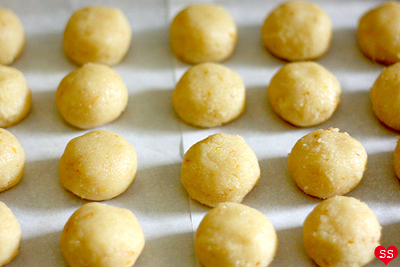 Roll the resulting cake "dough" into 1 inch diameter balls and flatten slightly. Place on a parchment lined baking sheet, cover with plastic wrap, and freeze in the freezer for a few hours until firm. 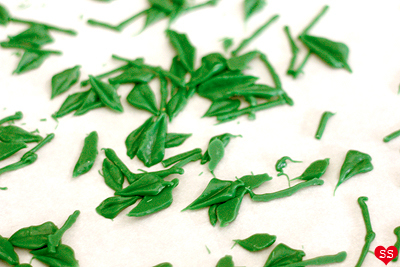 In the meantime, melt the green candy melts, fill a piping bag, cut a small hole in the bag, and pipe short 1/2 inch lines on parchment paper to use as stems later. Place a leaf tip (like Wilton #352) in a piping bag and pipe out small leaves on another piece of parchment paper (the pointy part of the tip should be gouging into the center of the leaf that you squeeze out to create the central vein of the leaf). Set the stems and leaves aside to dry. Melt the orange candy melts in the microwave 1 minute at 50% power, stir, then continue heating 30 seconds at a time at 50% power, stirring in between until totally melted. 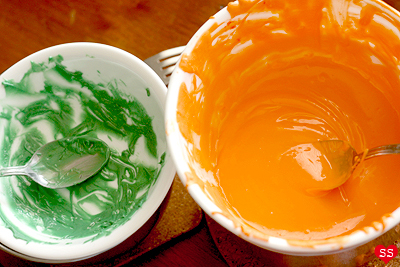 (A useful trick to prevent the candy melts from hardening while decorating is to boil some water, pour it in a bowl, and keep the bowl with the melted candy melts on top of the bowl of boiling water throughout the decorating process, adding more hot water to the bottom bowl when necessary). 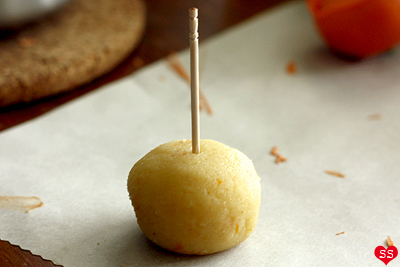 Stick a toothpick into the top of a cake ball. 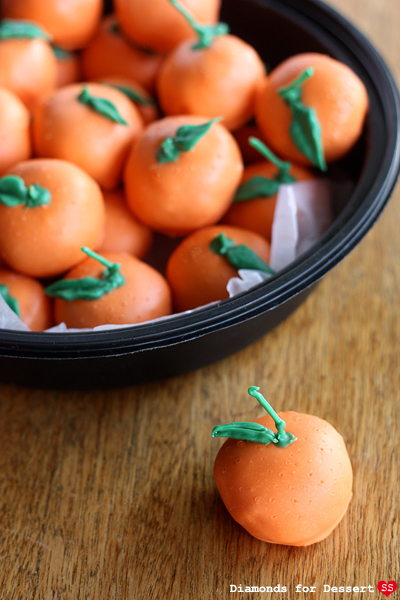 Use the toothpick to dip the cake ball in the orange coating, shake off the excess, and place the coated cake ball on a piece of parchment paper to dry. Gently twist the toothpick upwards to remove it, and in its place, stick in a green stem. (Optional step: Once the orange coating in no longer wet looking, take a toothpick and gently poke at the cake ball, all over its surface, to give it some texture). Melt some green candy melts. 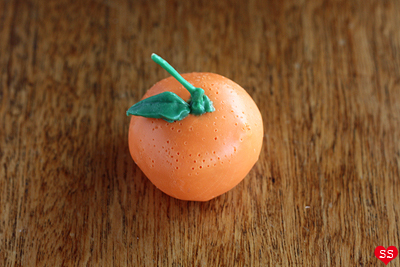 Use a toothpick to make a seal around the green stem, making sure there are no gaps between the orange coating and the green stem (if you don't seal it, cake will start oozing out around the stem). Repeat with the rest of the cake balls. 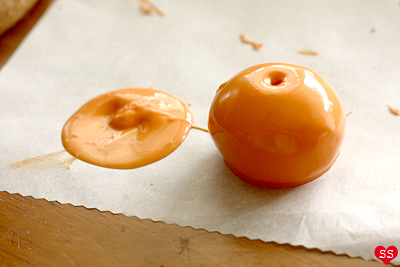 Finally, use a bit of melted green coating to glue a leaf onto each cake ball. Preheat the oven to 350°F. Mix the flour, baking powder, and salt together and set aside for now. Rub the tangerine zest into the sugar. Add the vegetable oil, tangerine juice, and milk and mix. Add the eggs one at a time, mixing after each addition. Mix in the orange and vanilla extracts. 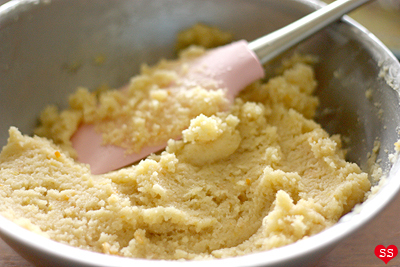 Now add the flour mixture to the wet ingredients and mix until a batter forms. 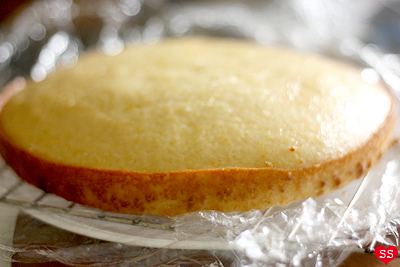 Pour the batter into a greased 9-inch round cake pan lined with parchment paper at the bottom. Place in the oven and bake for 25-30 minutes, or until a toothpick comes out clean. Remove from oven and let cool for a few minutes in the pan. Then transfer the cake to a wire rack and let cool. * If you don't have tangerines, oranges work just as well! Mix the cream cheese and powdered sugar until smooth. 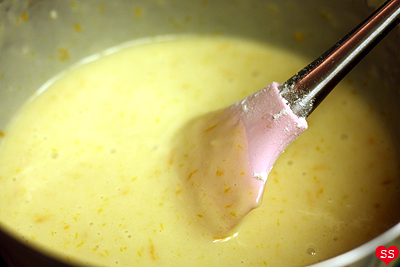 Add the tangerine juice, tangerine zest, and orange extract. Wow! I love how creative these are. And they look delicious, too! these are just adorable! and now i'm hungry for dessert... bah. great idea! 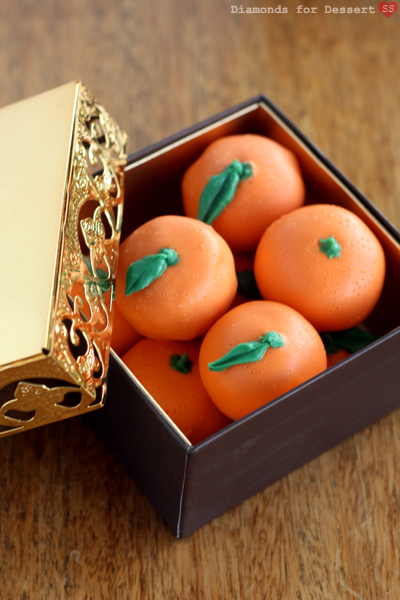 and they do look like little tangerines! How absolutely adorable! 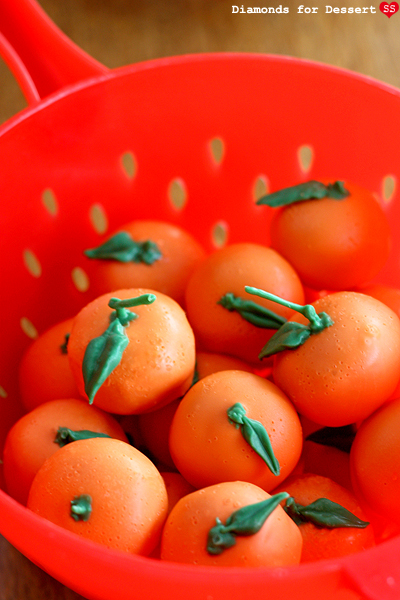 They really do look like little tangerines! You are good at this... thanks for sharing! Thanks! It's taken a lot of practice to get to this point, I've finally figured out how to get the candy coating smooth, which makes a bit difference in how the cake pops look at the end. But... I still have so many little issues with making cake pops, like the bottoms cracking that I'm hoping to figure out. I love how creative you are, these are so cute! I'm going through loads of tangerines at the mo, following Chinese New Year lol. Haha, of course it isn't wrong :P.
Yup, you can make cupcakes with these. But if you do so, I'd advise that you make the full recipe as directed by the original recipe: http://inthelittleredhouse.blogspot.com/2011/01/chocolate-and-orange-layered-cake.html as that will guarantee that you get the best cake texture. Because I halved the recipe, the cake ended up a bit drier than it would have been with the full recipe (but I figured since I was mixing it with frosting, it wouldn't make much of a difference). Just remember that for cupcakes, you have to lessen the baking time. Test them with a toothpick to figure out when they're ready. The texture of the cake is somewhere between dense and fluffy, more fluffy than dense. These are so darling. Love them! I can already see improvement in your food presentation and photography as well! So awesome! I'm a college student who has been following your blog for a while. You've inspired me to finally buy my own bakeware so I can get creative too! Yay, I'm glad to hear the positive feedback! What level of difficulty would you say these are? I'd like to try to make them but I'm not very experienced... Also, is it possible to substitute the orange extract? Have you made cake pops before? If you have experience in making cake pops, then these aren't that difficult technique-wise. For me, I found cake pops challenging when I first started out because apparently dealing with candy and chocolate is a weakness of mine (and I couldn't figure out how to get the candy coating smooth). But in general, for the rest of the world, I thinking making cake pops isn't too bad. Especially since the cake and frosting recipes for this post aren't too difficult. But if you have no experience with cake pops, check out some links on Bakerella's website (she's the queen of cake pops). And you can leave out the orange extract, but then the cake pops will be less orange-y in taste and more mild. 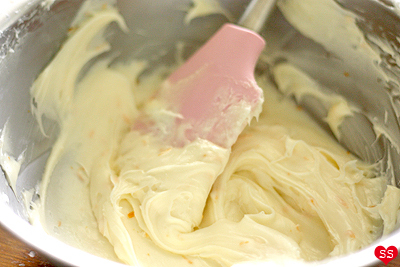 If you choose to leave out the extract, to up the orange flavor, add more orange zest. 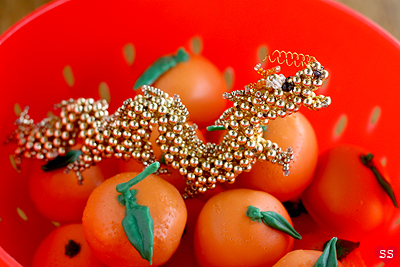 Happy Year of the Dragon! 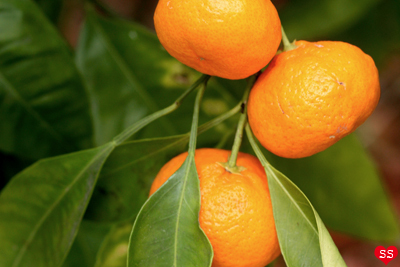 Btw, so jealous that you have tangerines growing in your garden! Yeah, it seems every Chinese New Year, I learn a new food double meaning, which is always fun. Wow! I happened upon your site by accident! YOu are sooooo talented!!!! Beautiful work!!!! You should be on TV!!!! How many servings does the cake recipe make?